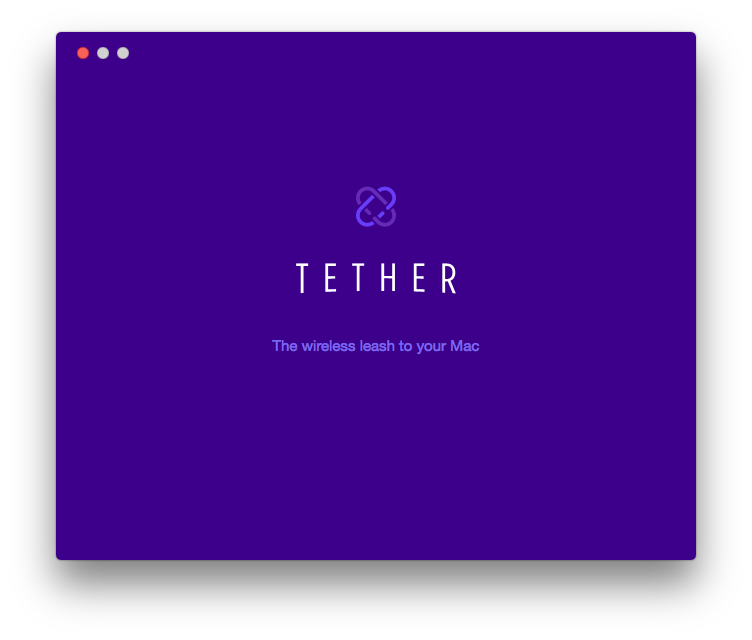 We’ve seen a few apps that promise new ways of unlocking your Mac, but Tether, a new free app, might be the easiest yet simply because you don’t need to do anything to use it. Tether is a pair of apps you install on your iPhone and Mac which detect how far your phone is from your computer using Bluetooth, and automatically locks it when it’s further than a few meters away. I tried Tether for a day and it seemed legitimately useful for my home office. I could just walk away and my Mac would lock. When I came back to my desk, by the time I had sat down it was unlocked. In the past, I had used Knock to unlock my Mac by rapping on my iPhone in my pocket, but it was fairly unreliable. Tether uses Bluetooth 4.0’s Low Energy profile to achieve this without completely obliterating your phone’s battery. What’s even cooler is that the apps are entirely free, which made me think it was shady at first. FiaFo, the company behind the app, is a UK-based “digital innovation studio” and it says the apps were created internally while it was performing research and development for other Bluetooth apps. After using it for a while, the company decided others might enjoy Tether, so it worked to make it stable and usable for all users. In case you’re wondering what Tether does with your login password, a FAQ says it’s only using it for logging into your computer and it’s securely stored using the Mac’s keychain. Still, since Tether unlocks your computer whenever your phone’s nearby it’s probably not best to install it in the office. I spent a good 30 minutes just walking back and forth magically unlocking and locking my Mac repeatedly with this app. It’s cool because it removes the friction to actually sitting down and just using your computer. Since it’s free, why not just try it?